How to Be on the Safe Side When Clicking Links on the Internet? When surfing the Internet we click hundreds of links in search results and on web resources. How can you identify whether links are malicious or not? How can you be sure that clicking a link will not cause a computer virus or data leakage due to visiting a phishing web resource? 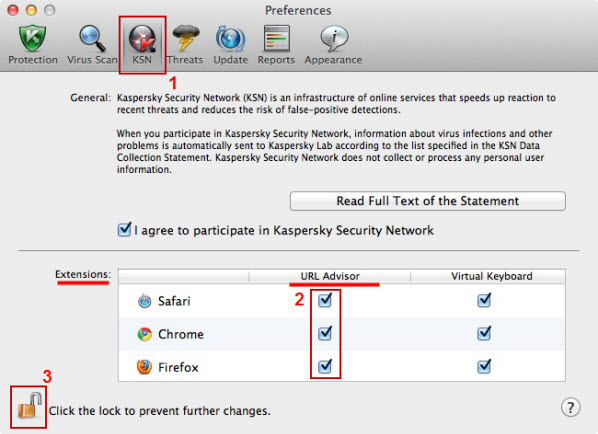 Kaspersky Security for Mac contains a special module, Kaspersky URL Advisor, designed to check whether links displayed on a web page are malicious. The module uses data from the Kaspersky Security Network, and phishing and suspicious web address databases to identify if a link is malicious. The extension can be installed to the Safari 5, Google Chrome and Mozilla Firefox web browsers as a plug-in and works only with Kaspersky Security for Mac and Kaspersky Security Network. Using data from the Kaspersky Security Network, the module marks all links on a web page as links that are or are not malicious. 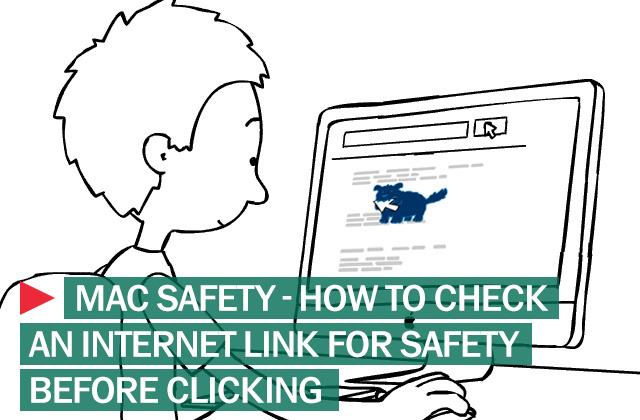 Thus, you can identify malicious links before you click them. In order to install the browser extension, go to the KSN tab in the application preferences window and check the required boxes next to the browsers in the URL Advisor column, which can be found in the Extensions section. The extension will appear in the browser once you reopen it. Kaspersky PURE 3.0 also includes Kaspersky URL Advisor, the module to help you be safe when surfing the Internet. Kaspersky 7 Volcanoes: Second Stage Winner!